Democratic U.S. Representative from Indiana (1851-1855). U.S. Senator (1863-1869). Governor of Indiana (1873-1877). Unsuccessful Vice Presidential candidate with Tilden (1876). 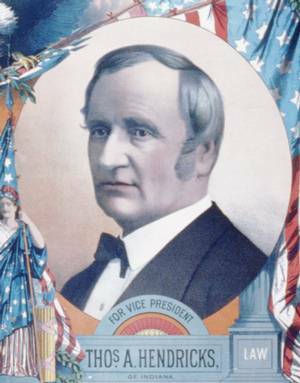 U.S. Vice President under Grover Cleveland (1885) and died in office.